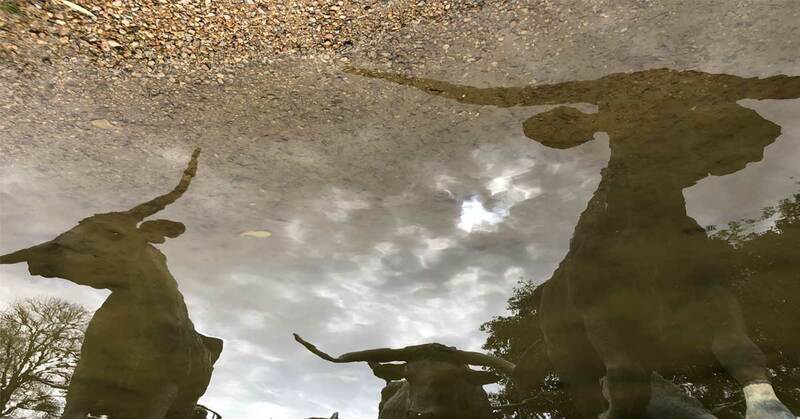 The steers from the Cattle Drive Statues in Pioneer Park reflect off the water nearby in Downtown Dallas. The 49 bronze steers and 3 trail riders sculptures were created by artist Robert Summers of Glen Rose, Texas. Each steer is larger-than-life at six feet high; all together the sculpture is the largest bronze monument of its kind in the world.